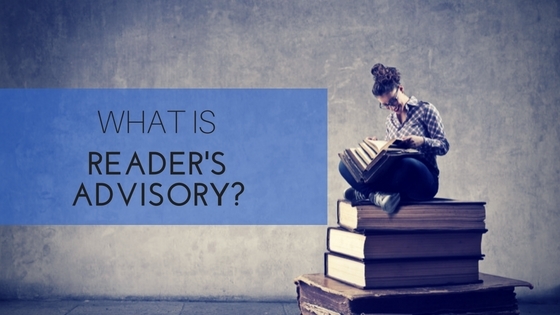 First, what is Reader’s Advisory? Reader’s advisory can be as simple as directing a patron to the inspirational fiction section or offering a list of newly released cozy mysteries, science fiction, or romantic suspense novels. However, reading preferences don’t always follow genre lines. or one that helps them escape from the world. Take a minute to consider your own reading preferences. Do you enjoy one genre, multiple genres, or mixed genres? Can you identify with any of the statements above? No one can write to please everyone. However, as a librarian, I can assure you that every book pleases someone. That is my job – to match people with the books, movies, classes, music, and technology they need and want. When I review a book, I always keep in mind the intended or unintended audience. The same is true when I recommend a title. I don’t reach for my favorite book; instead, I ask questions to learn more about the patron’s reading style. Does she enjoy short chapters she can finish on a 15-minute break or has she always loved family sagas filled with conflict? Looking beyond the variety in reader preferences, there are countless ways to find that next good book. Someone might click on a suggested book while using his tablet or pull a new release from a book display. A reader’s next book may be a group read for a book club or one recommended by a friend. Librarians are excellent sources for book suggestions. Not only do they recommend titles familiar to them, they also enlist the aid of colleagues who enjoy the same subjects or genres the patron does. Colorado libraries also offer access to the NoveList database, which provides recommendations based on books a reader enjoyed in the past. The database is free to patrons and can be searched by plot, genre, and all those tricky preferences such as fast-paced, suspenseful, plot-driven, or romantic. Consider again your list of reading preferences and those of your friends and colleagues. Do you agree that the audience for your own written work is broader than genre? How can you leverage audience preferences to put your book in the reader’s hands? Some of these same details are available on Goodreads www.goodreads.com. What lists have similar books been added to? Should your book be on these lists as well? Browsing the Goodreads Listopia www.goodreads.com/list, I found lists as varied as Top Fast-Paced Mysteries, Best Second Chance Romance, and Books Set in Iceland and Greenland. Don’t stop there! Search for similar lists using a search engine and ask the author of each online list you find to add your book. Check libraries to find out if they purchase books by local authors or if they have a booklist for patrons interested in local authors. In addition to lists and online sources, librarians, booksellers, reviewers, bloggers, and friends can all introduce your book to the public through reader’s advisory. Your networking opportunities are endless if you are willing to think like a reader. Love this blog! And love libraries and librarians!! I used to be so genre specific--romance or mystery, no sci-fi, paranormal stuff. But when I joined a book club, I had to read different kinds of books and always after I feel as if I'm better for it. What a great idea and inspiration. Thanks for this blog. Great post! It gave me ideas as a writer, but it also had me thinking as a reader and about my own preferences. I'm a great fan of libraries and love that we have so many in the Denver area. I think I belong to most of the systems. Wonderful post. I love libraries and have been helped by great librarians since I was a kid. I volunteered in my library from fourth grade on and just retired a short time ago as a volunteer at the Robert E. Lee Civil War Library and Research Center. I'm an avid reader and writer thanks to my local library...and Mom who was a reader as well.